WARNING – Undertaking the Eddington number challenge can seriously affect how you go about your cycling and route planning! However if you spend lots of time like me pouring over ride stats and keep records of miles (or if you really have to – kilometres), this may be for you. What is it? The Eddington number is a strangely addictive tool for ranking your cycling activities in an increasingly harder challenge. [Ed: not to be confused with the astrophysics definition: ie the number of protons in the observable universe]. You will be able to share your achievements and compete with other nerds! Who was Eddington? 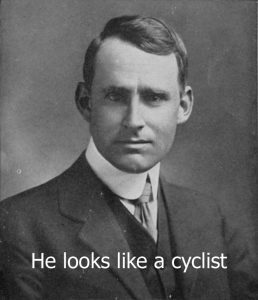 Arthur Eddington (1882-1944) was a British astrophysicist who did a lot of work around the theory of relativity explaining Einstein’s work to the English speaking world – apparently(!) Also famous for arguing with another astrophysicist about black holes – google that yourself. 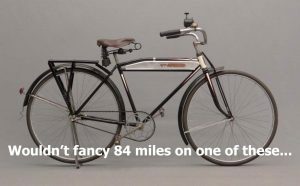 It’s very easy once you get your head around the basic principle – there is even an equation: the Eddington number is defined as the maximum number E such that the cyclist has cycled E miles on E days (wikipedia). “What?” you may exclaim. Essentially to get an Eddington number of say 20 you would have to complete 20 rides of 20 miles or more, while to get an Eddington number of 50 you would have to complete 50 rides of 50 miles or more, etc. So you need to record the length of rides you have completed. It can be done annually, although it can take a bit of time to get going – or you can keep a running total since (your) records began. It’s the start of the year – so let’s get going! 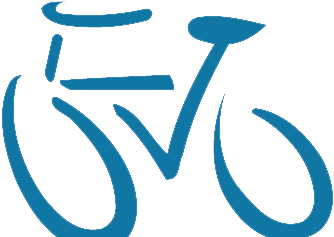 Even if you have only ridden your bike on 1 occasion this year and have at least achieved 1 mile – you already have an Eddington number – congratulations! – ok, it’s only ‘1’ but you have to start somewhere! There is even a tool that has been developed to work automatically with your Strava page, courtesy of John Swindells – more details here My Strava Eddington number but it does take out some of the fun. You could of course get a higher Eddington number by doing it in kilometres but you should “fess up” as I believe young people say. You’d only be cheating yourself and not worthy of a true stato nerd! If you “walk”, “run” (why?) or “swim” (Uh?) you could also have Eddington numbers for these activities but as none involve the magic of the bicycle, why would you want to? By the way, Eddington’s Eddington number was 84 – there’s a challenge…! “Why would I want to do this?” you ask. I am afraid that if you ask the question, then perhaps The Eddington number is not for you…You may gain new friends (even if a bit high on the nerdy scale) Wait a minute – have I developed something new?